Advice from the NHS about reviewing and developing a Bedrail Policy. At Memory Care Store they have a team of people holding a wealth of experience in creating environments to assist those who need a little help in remembering. Whether it is to aid with way-finding, providing products for dining, finding and using the bathroom, knowing the time and day, or activities to stimulate the mind and relieve restlessness. At Memory Care Store they have the ability to make sense of the everyday things some people take for granted. 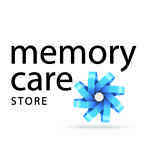 Please take a look through the store to discover how they can help you or your loved one facing memory issues. Find is established as the leading supplier of Memory Care products, with customers throughout Europe and in the United States. Their products are designed for all care settings where cognition, vision and dexterity are issues.